Injuries to muscles, ligaments, and tendons are generally referred to as “soft tissue injuries”. These soft tissue injuries result from damage to one or more sensitive tissues in the body, and are typically associated with physical fitness or sports-related activities. However, these types of injuries can occur as the consequence of a variety of accidents, including motor vehicle accidents and slip-and-fall injuries. At times, these soft tissue injuries do not manifest themselves until several days, weeks, or months after the initial injury. Yet, these injuries can be a major source of pain and discomfort. Because of this, you need experienced attorneys on your side. The attorneys and staff meeting at Benson and Bingham want to help you get the compensation you deserve. We understand the pain and time associated with such injuries, and we would like to assist you in pursuing receiving the compensation you deserve. We pride ourselves in client care and service, so contact us today if you have sustained a soft tissue injury due to an accident or negligence. 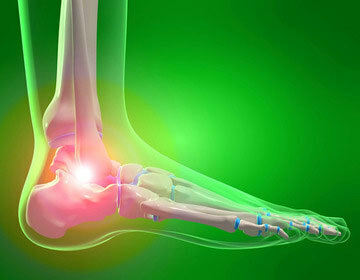 Tendon or Ligament Damage often Accompanies Acute Pain in the Region of the Injury.